http://oneofthe4.wordpress.com My blog about the process of writing, and how it fits into my very busy lifestyle. Yoo hoo! Over here – poems, prose and a few photos. I can’t decide if I should put my blog here or in “family.” Please, Dotty, can I have three categories? Even if I’m a lowly American gopher? Hello! My blog is about writing and editing and other book-related topics. Posts are short and to the point, and I am told, amusing. I love hearing other writer’s perspectives and comments! I write a mixture of poetry (mostly free verse) and short stories (generally fantasy). I’m an aspiring romance novelist, but my blog covers a variety of things from writing and editing to travel and pretty much whatever else I can think to write about. Stop by and say hello! My blog is Missy Writes and the url = http://www.melissamfrye.com/missywrites It’s my writing journey, plus book reviews. I started my blog in July. It is about my struggle with depression, anxiety, panic attacks, suicide, writing my first book and daily life. Hope you enjoy it. Hi, this is a wonderful idea! What a lovely idea! You little treasure you. on fiction, writing, life the universe and everything. Hi – this thicky cannot make the button or link work. Help please! I did a post about how this – hope it helps. You’re welcome. I hope it works. Hey Dotty, cleaver idea you have here… I do a some easy reading poetry and prose. And finally I did it. Hooray! Yes, I know, I’m completely thick and should have been able to manage it before. But the button is on. Good idea. Look forward to checking these out. My blog is less about writing about writing, and more about doing it (or trying to…). I’m a Brit and a writer, so I will post myself in both categories, if that’s all right. My writing is word play with a purpose. Come sit and read a spell at http://honiebriggs.com/. Okay, not an actual spell. I’m not a witch or anything. I love original ideas, and this looks like one to me. Thanks for this, Dotty (love your name!). I write litfic and am just finishing my MFA. I use my blog to rant about how big art is and how little I am. Frankly I write about anything I can. It’s a sickness really. My Blog is about a lot of things, writing is one of them. I write Sci-Fi, Weird-Fi, Dystopian and YA. That is a great idea to find and follow new fellow bloggers. I am a newbie in the blog-world. I spill words randomly from my cauldron of thoughts here http://www.ashaseth.wordpress.com. Would like to be a part of your initiative. My blog, http://theevolvingdad.wordpress.com is simply about my quest to be a published writer while learning to be a dad. My site is http://HowToWriteBetter.net. Over 400 “posticles” on all types of writing, both business and social … plus special series on writing well to get a better job, business English quick tips, writing fiction, and written humor. Drop by for a visit soon! My site is http://myrandommuse.wordpress.com I post on the struggles of being a writer, do reviews, blog tours, lately a bit about Indie/self-publishing, have also re-started WIPpet Wednesdays. My site is http://dlfwriting.com/. I’m someone trying to develop my writing, specifically my fiction. The site is really my attempt at finding my Voice, finding my Style, and presenting those finding and what ever other muses that may strike. Give it a read! You can find me at http://inkandpapyrusblog.wordpress.com/ where I report my struggles with transforming an idea to a published reality. My English Emporium website is an easy-to-use English handbook (like MLA or APA) with free handouts for English teachers to download in the “blog” section. Writers like it for easy access to grammar rules. whitneycarter.wordpress.com – Fantasy writing hub/community for writers of all skill levels. Hi everyone. What a great idea. Wonderful to see what other writers/artists around the world are up to. I write children’s poetry and haiku, as well as short stories and ramblings. My blog is a mixture of poems, resources and tips, musings, author/poet interviews, etc. Nanny Cool has so much to say! Generally about me trying to write so I guess my blog is about Fantasy and Writing, and im british! http://colinshingler.wordpress.com/ My blog is brand new…still in the bubble-wrap really and it aims to trace my journey as a writer for newbie wannabe to whatever I end up as.If nothing else it should prove entertaining for all writers out there as they happily cringe at my efforts. A collection of writing quotes, tips, prompts, flash fiction and flash nonfiction. I’d love to hear your input on some of the topics there! Ermilia Blog: Ermisenda and Eliabeth are coauthors blogging about books, life, and everything in between. We host a weekly writing exercise called Picture it & write. We are aiming to make it an annual publication for all us writers out there. A blog aimed to inspire. http://spaciireth.wordpress.com – Writing goals and check-ins, along with sneak peaks and other rambling. http://christinajoneswriter.com All about my writing journey, short stories, poetry and some inspiration for your days. http://joeowensblog.wordpress.com/ I also love writing in any form, especially fiction. We have reviews, interviews, and our very own Literary Journal publication as well as a weekly list of other Literary Journals that have open Calls for Submissions! Follow us for the most up-to-date info on everything writing related and more! http://www.100firstdrafts.com, as the name suggests I took on the foolish (?) challenge to try and write 100 drafts in 5 years, so basically 1 every 2 weeks. Lots of tips on things NOT to do. A writer at heart as well as a spiritual being and adventurer, I write on topics of personal and spiritual development and travel as a transformational journey. I am a published author and working on two books currently. And to mix it up, I help people who want to design a life around what matters most to them. Please visit and peruse, maybe stay a while to chat. http://theliterarysyndicate.com/ A place where all writers/editors/cover artists/reviewers can gather and say hello. Check it out! http://mylifewalkingoneggshells.blogspot.com – Growing up with domestic violence. Self-reflective stories and thoughts on adult healing. I write both prose and poetry on my blog. There is a weekly inspirational (devotion) as well. http://www.kyrosmagica.wordpress.com – A blog about writing, reviewing books, travel, food, humour and the things that inspire me – photography, and art. I write a blog of short stories/flash fiction. Some story endings are sweet, some are not. Hoping you will like them! Writing and poetry – touching on “matters of consequence”. What ‘IB’ believes: “Your insight may be just what someone else needs to have a breakthrough”. P.S. 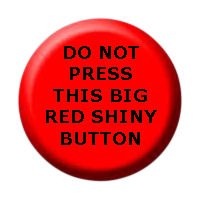 The red button is calling me, but I will not press it. I will not! reading – reviewing – writing. where you can browse and (hopefully) enjoy my poetry and have a look at my novels. https://rawlse.wordpress.com/ Do ya like Epic Fantasy? Crazy yet Smart? Looking for writing Tips and Advice? Then whaaat are you waiting for–hop on over and check out the writing advice we’ve got! So you a real guy…. You love it when people call things as the see it huh?? You love Talking,you love gisting,you love arguing?? Okay http://www.Carliswag.com is the blog to visit.